Former Dutch football hero Patrick Kluivert believes that Premier League stars Marcus Rashford and Pierre-Emerick Aubameyang are capable of succeeding talisman Luis Suarez at Barcelona. 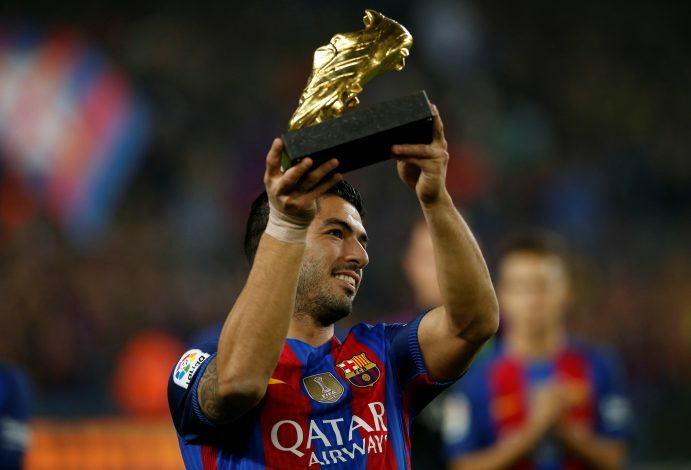 Suarez has been one of the most prolific goal-scorers at both club and country level. He has also been a success at Barcelona, having netted 168 goals in 227 appearances. The Spanish club is said to be eyeing a replacement for the 32-year-old, so as to prepare for the time he leaves the club. And Kluivert believes that the likes of Rashford and Aubameyang can thrive at the Nou Camp by filling the boots vacated by the Uruguayan. Rashford, who has been a revelation under Manchester United‘s caretaker boss Ole Gunnar Solskjaer, is easily one of the most promising forwards in world football. Meanwhile, Aubameyang has thrived at Arsenal, and brings experience into play. Speaking of the two, Kluivert told Sport360: “I like Marcus Rashford, a lot. It will be really difficult to get him over [to Barca]. But he is a good player. I don’t see a lot of players who can play in Barcelona. Rashford’s versatility and quality in scoring goals could benefit the Catalan giants. But snatching him away from the Red Devils will be difficult, as the England international is blossoming at United, and has been at the club since he was a kid.